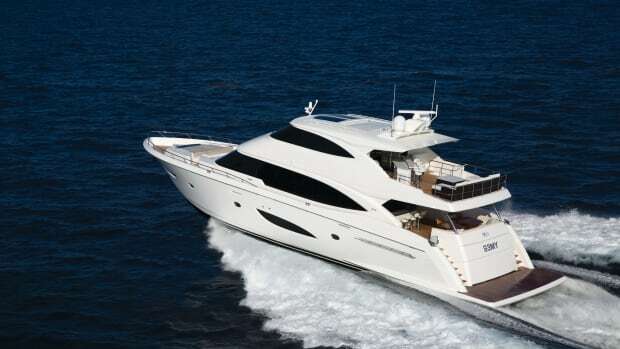 The new Viking 93 Motor Yacht is deceivingly packed with surprises. 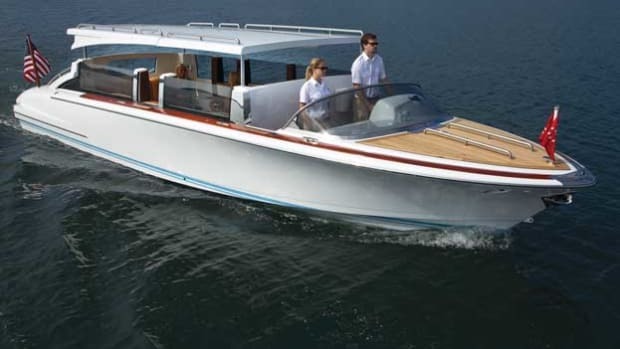 Hinckley's new electric dayboat could redefine the yachting experience. Italian businessman Carmelo Zocco had plans for a new performance cruiser steeped in his homeland’s style-focused culture. 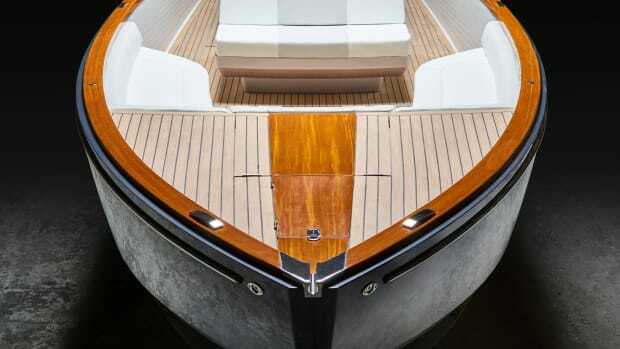 He called on Sarasota, Florida’s Michael Peters Yacht Design and asked succinctly for “balance between elegance and aggression—a boat that was dynamic, functional and unique.” Five years later, in 2011, the Revolver 42 made its debut. The 35-foot (10.5-meter) Michael Peters–designed Hodgdon Limo tender is a versatile fiberglass and carbon-fiber beauty. The hydraulically raising roof means guests won’t dampen their spirits in inclement weather or miss out on a sunny day. 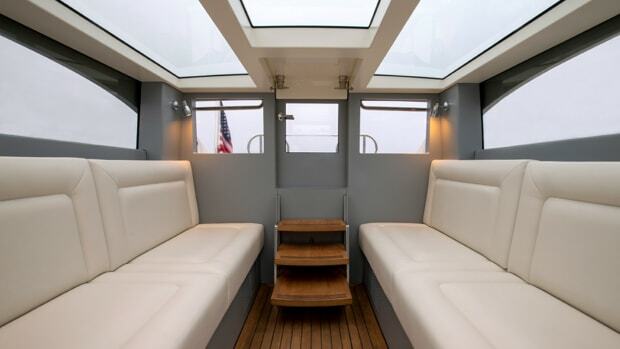 This feature provides easy boarding and 360-degree ventilation.